Unbox some of the most exotic weapon and knife skins in this brand new app. Counter-Strike: Global Offensive Case Simulator delivers great case opening in-game like experience. 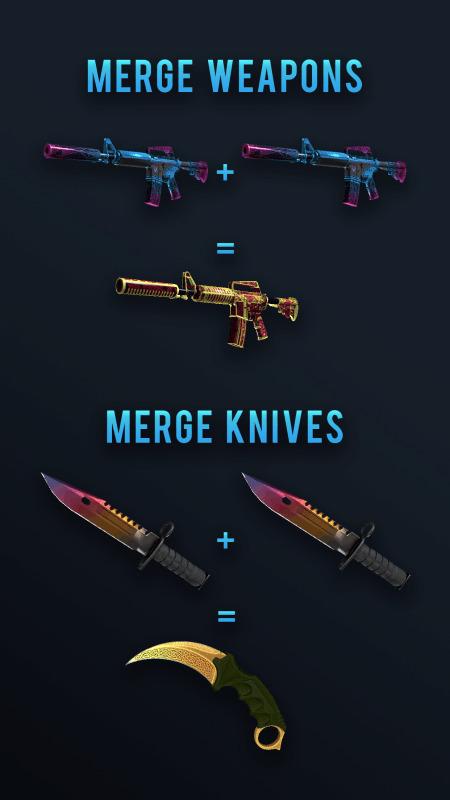 Hellcase Merge is based on popular Counter Strike Global Offensive shooter and skins game. By opening cases player collects XP to progress to better rank. App contains all csgo levels from Silver I, Gold Nova to Global Elite. Case Opener & Upgrader. 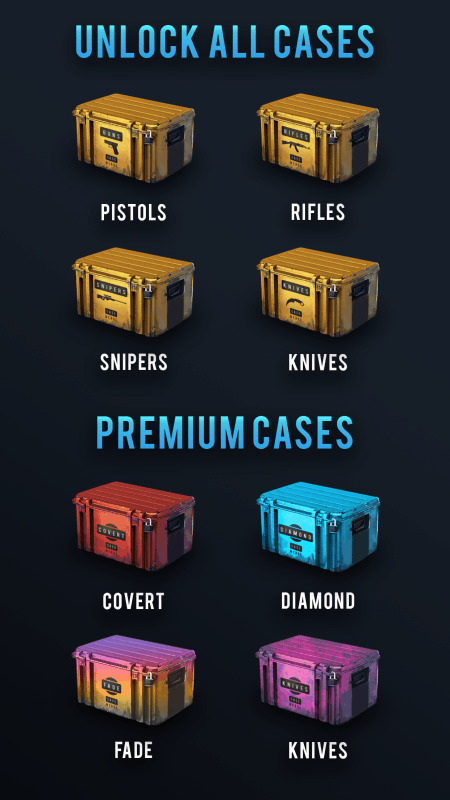 Open cases, upgrade skins. Each crate drops various weapons with different csgo skin and rarity. User can hold them in inventory or merge them to create better ones. Case Simulator. The concept of the game is simple - you have couple poor skins, and it’s your job to turn it into a powerful inventory. Every so often, you’ll be gifted with a random skin. Each skin can be merged with other skin of the same variety to form a better one. Every skin will earn you money - the better the skin, the more you will earn. The more you earn, the more skins you can purchase, and the more you can push the clock to develop your inventory faster. 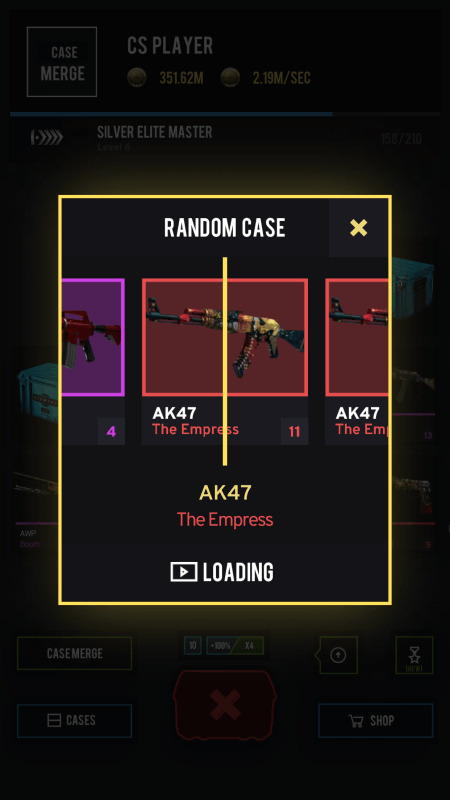 - Open cases - Upgrade / Merge your old skin to new better skin! 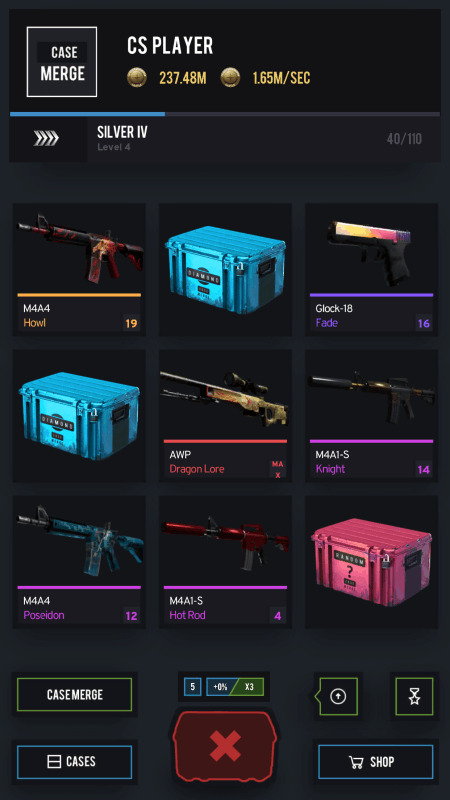 - Incremental idle gameplay - CSGO Case opener simulator - Offline income - Collect cases and unlock awesome skins - Skins upgrader - upgrade your skins to make them more worthy! 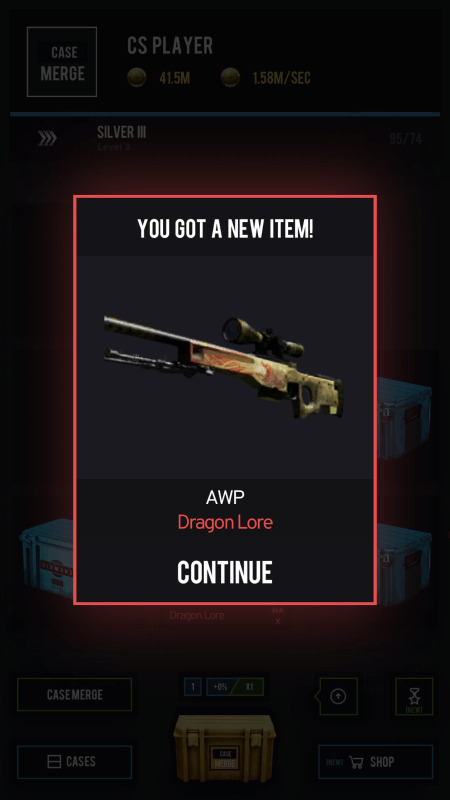 - Howl, Dragon Lore, Karambit, Medusa and more As an incremental game, Case Merge uses many elements from cs:go case opener simulation, clicker, tap and idle type games. 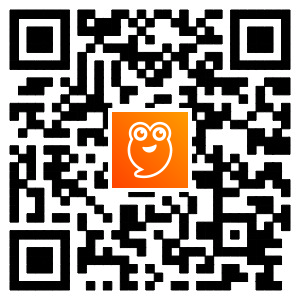 See your inventory progress by upgrading everything. It's strangely addicting. Note: Weapon skins found in Case Simulator cannot be used in official Counter-Strike: Global Offensive game made by Valve.